This app, Zapp, is launched from homescreen by pressing 'Z' key and ready to launch your favorite apps like facebook, twitter, whatsapp, bbm, etc! The following is the description of how to launch you favorite apps. 2. Press Shortcut to your favorite app(facebook, calendar, twitter, whatsapp, ...). And The following is how to set shortcuts for apps. 1. Press Z key from your home screen to launch this app. 2. 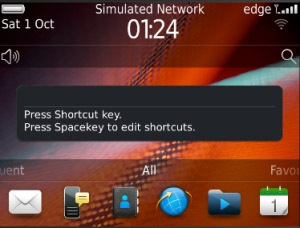 Press Space key to configure shortcut options.